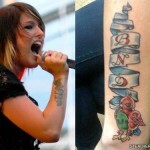 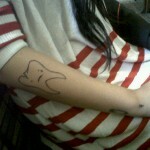 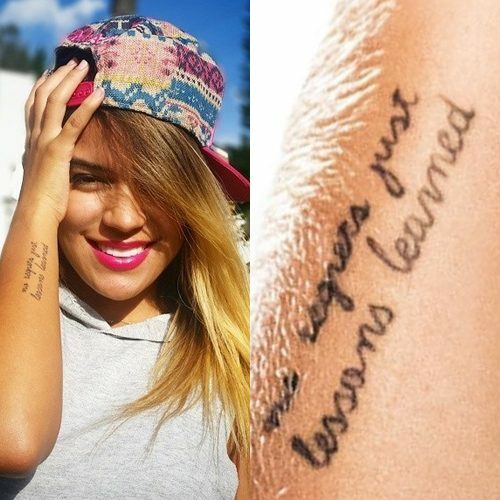 Karol G has a tattoo on her forearm saying “no regrets, just lessons learned. 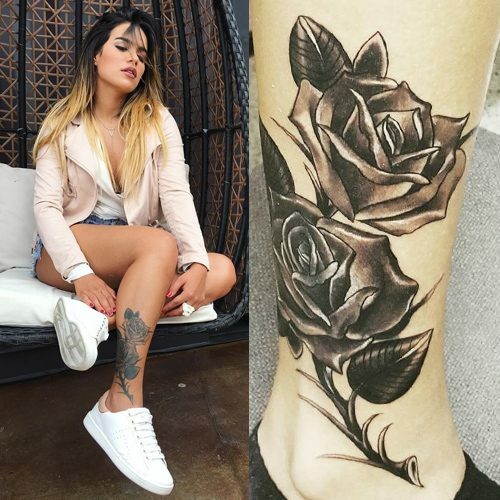 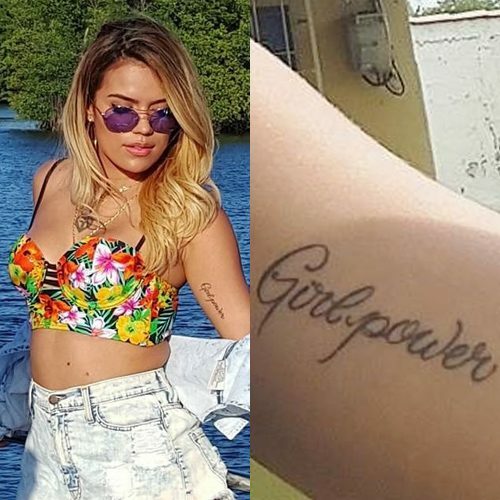 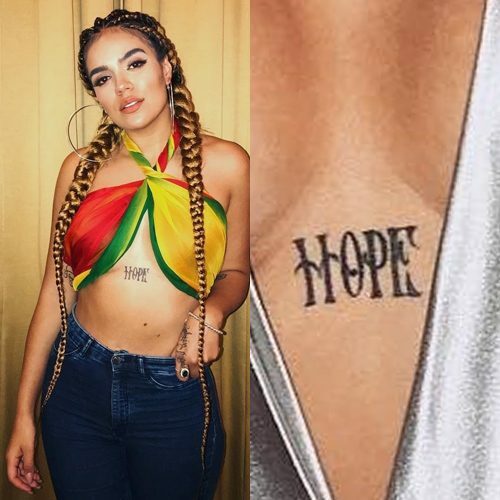 Karol G has a tattoo on her side in Spanish that says “Mi Familia me hace humana, Dios me hace fuerte” and it means “My family makes me human, God makes me strong”. 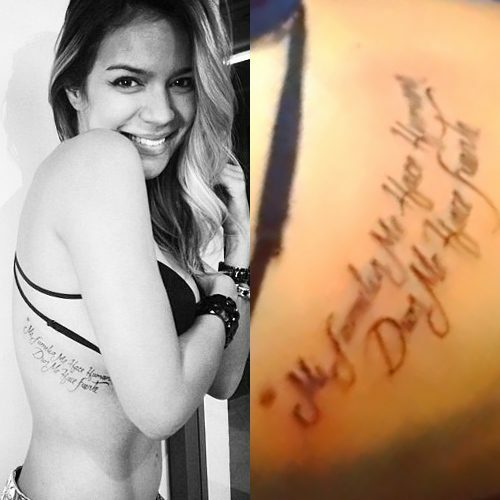 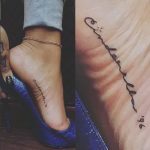 Karol G has a message inked on her arm in decorative font with the words “Esto Tambien Parasa” – which is Spanish for “this too shall pass”. 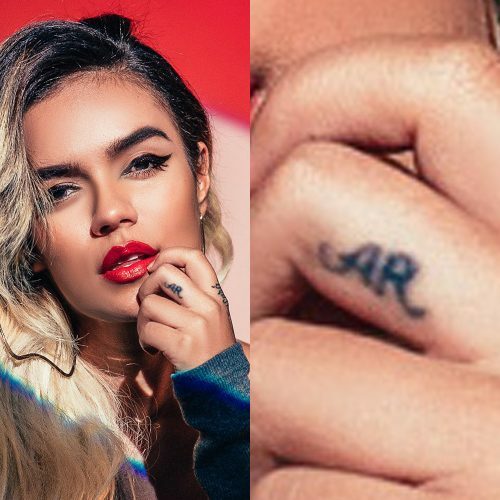 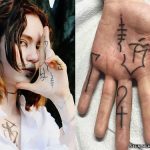 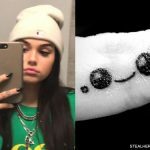 Karol G has the initials “AR” inked on her left middle finger.